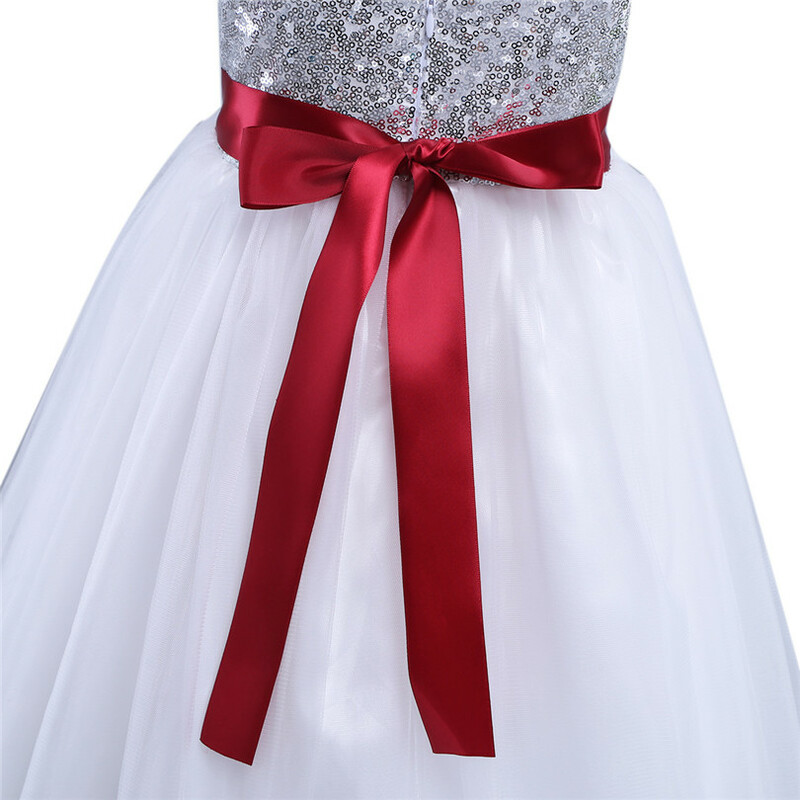 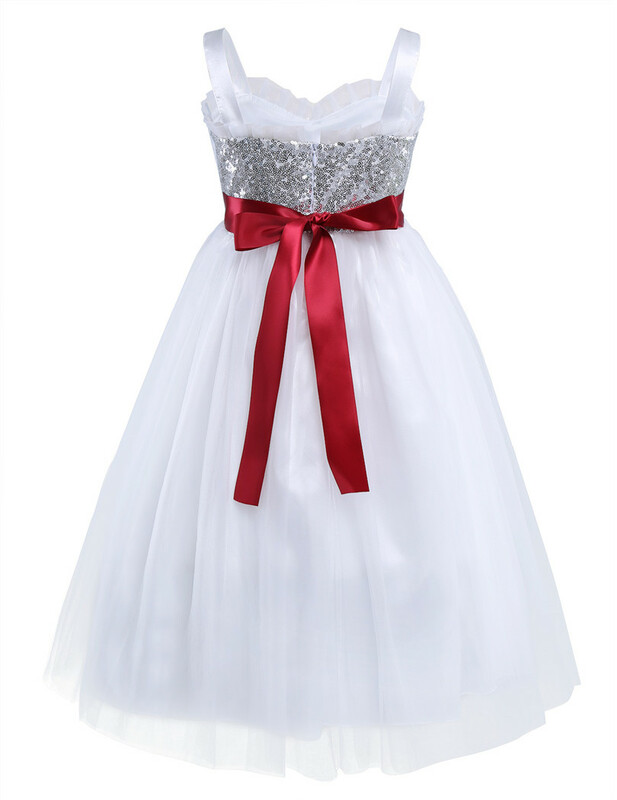 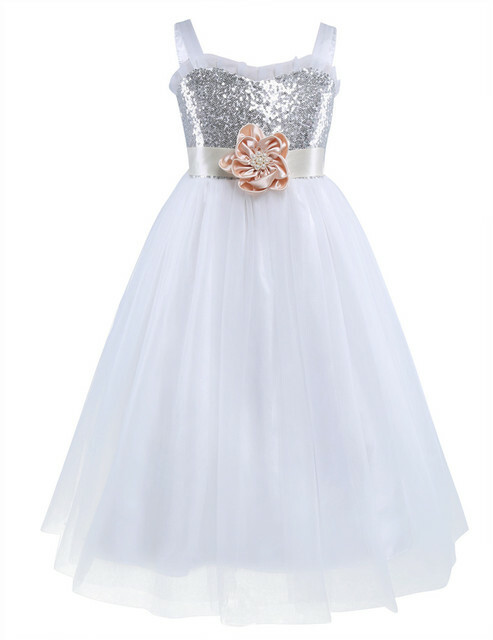 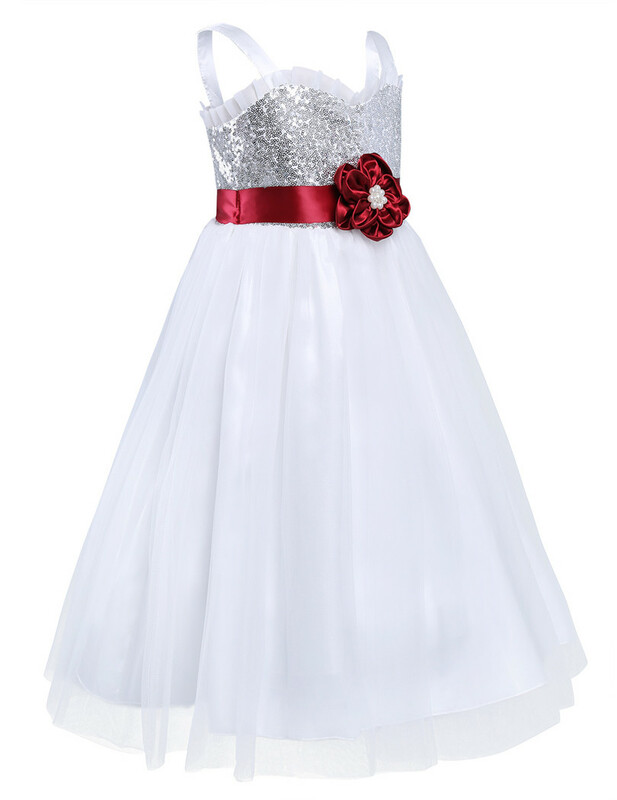 Kids Girls Sleeveless Tulle Princess Wedding Dress. 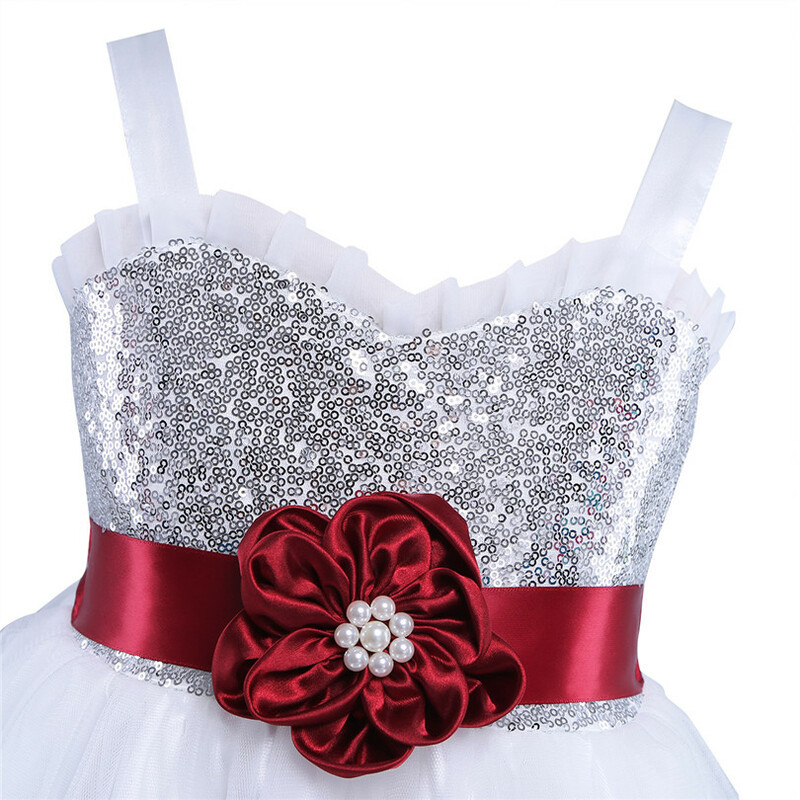 Glitter sequins top bodice with ruffles details. 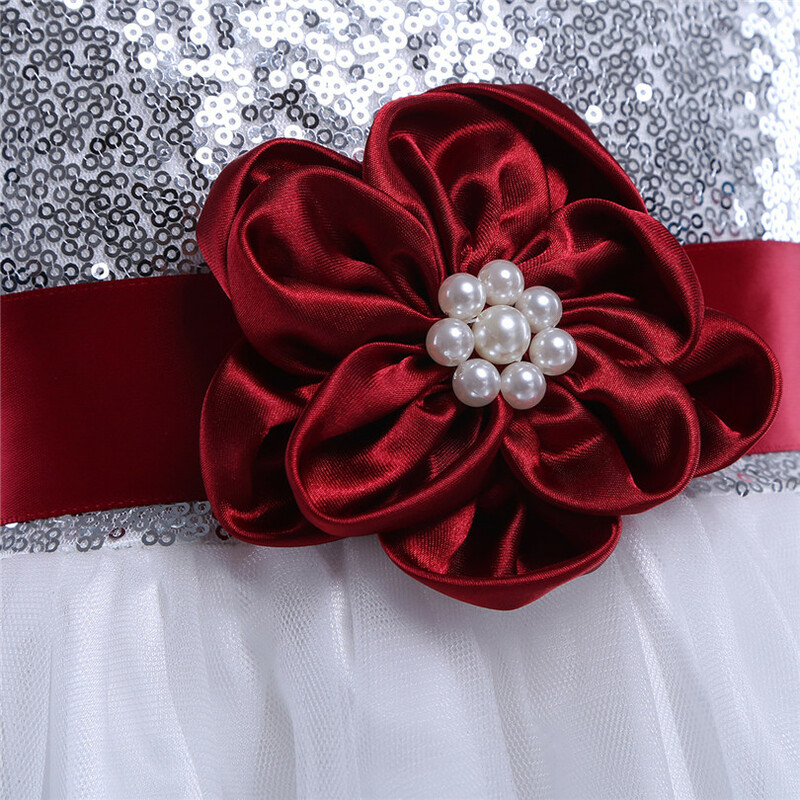 a detachable 3D flower with pearls for decoration at the waist. 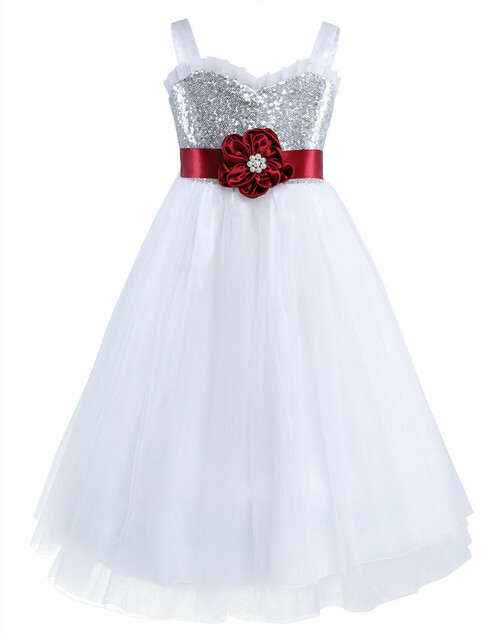 4 layers dress, 2 top tulle layers, 1 satin layer and 1 lining.